The leading opposition party is going through a crisis of its own. Incapable of using the current government deadlock to its advantage, there are more and more signs that the showdown before the 3 March general election will see Reform return to an all too familiar theme: the Centre Party's perceived proximity to Vladimir Putin's Russia. 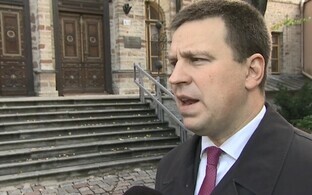 Trying days for Prime Minister Jüri Ratas. His two junior partners in the government coalition, the Social Democratic Party (SDE) and Pro Patria, have taken their already commonplace bickering to the next level and provoked a government crisis. 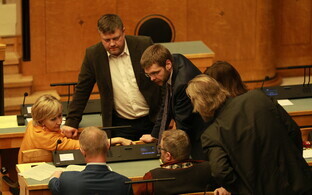 While the cabinet are in deadlock over the UN Compact on Migration, and the Conservative People's Party of Estonia (EKRE), a fellow opposition force, is considering motions of no confidence against both the prime minister and the minister of foreign affairs, things have been relatively quiet around the Reform Party. Despite Ratas' thus far successful handling of the crisis, party chairwoman Kaja Kallas has suggested that Reform is ready to take on the responsibility of government. 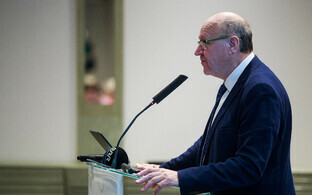 Former minister of several portfolios Jürgen Ligi has sharply criticised the prime minister for the government's supposed floundering in the issue. 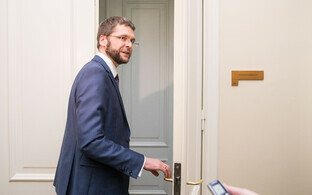 The Reform Party's parliamentary group has also moved against the tradition of so-called protection money, Estonia's own brand of pork-barrelling, but has failed to get the necessary support even among other opposition MPs. Nothing seems to help. 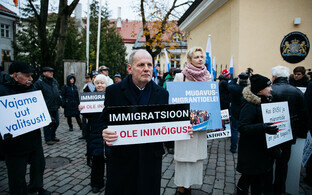 Ligi demanded that an issue of the weight of an international agreement on migration shouldn't be negotiated over the heads of the MPs, and that the Riigikogu should be involved. This backfired when Ratas declared that it should indeed be parliament who decide in the matter, throwing his support behind a motion of SDE that the Riigikogu adopt a declaration instead of there being a government decision on the UN Compact. All that was left for the Reform Party to do was to submit an amendment to the declaration that would still require a government decision—forcing SDE and Centre back to square one and extending the deadlock into parliament, doing nothing against the increasing threat to 25 years of successful foreign policy. 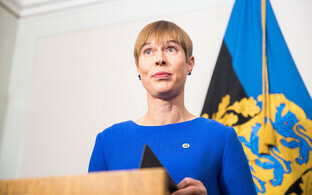 It is important here to point out that much of Estonia's current foreign policy was shaped in detail during the Reform Party's 17 years in government. Reform, then, has given no indication that it is about to support Pro Patria and EKRE's bids against the UN Compact. But instead of statesmanship and commitment to a stable foreign policy, the party seems to be thinking about the current situation exclusively in terms of the ongoing election campaign, aiming to maximise the embarrassment and damage done to the Centre Party-led coalition at any cost. Currently, that isn't a lot. 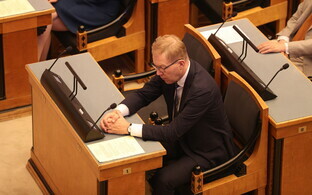 Reform has submitted an amendment to the Riigikogu's declaration on the UN Compact on Migration that still calls for a government decision — which means that, if adopted in this form, the declaration won't change the situation, as Pro Patria will still block a government decision on the matter. Two votes on Monday will bring clarity, though perhaps not an end of the crisis. First, MPs will vote on the amendment that still calls for a government decision. If voted down, Reform have already announced that they will consider walking out when the declaration is finally put to a vote. Should this happen, SDE and the Centre Party are likely to succeed in getting their declaration. At that point, the next question is who can represent Estonia to the UN in the issue. It likely won't be the president, as she would need a government mandate. If SDE and Centre don't get their way, and if the Reform Party's amendment is adopted, the expectation is that SDE will withdraw its motion to get the UN Compact on Migration supported by parliament. In short, no matter the scenario, a triumphant victory doesn't seem to be in the cards. Instead, most of the participants in this latest drama seem to be going for maximum damage to one or the other opponent. 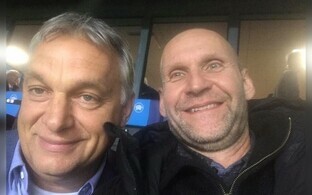 Unfortunately, to get any capital for the election campaign out of the current government crisis at all, the Reform Party would need to successfully paint both Ratas and the members of his government as incompetent. So far, they aren't succeeding. Thus, over the last few days and weeks, there has been another development. After months of relative silence, several party members seem to be defaulting to Reform's go-to campaign strategy during the Centre Party's Savisaar years: they are trying to get the media to once again focus on Centre's still existent, if frozen association agreement with Vladimir Putin's United Russia party. 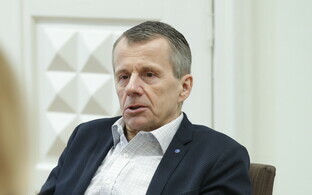 After it was announced that Estonian Public Broadcasting's Russian-language TV channel, ETV+, would be led by Ekaterina Taklaja, longtime editor-in-chief of ERR's Russian-language online news portal, chairman of Reform's Tallinn branch and former minister of justice as well as economic affairs Kristen Michal wrote in an opinion piece that Taklaja's Russian citizenship makes her unfit for the job. Michal compared a Russian citizen leading an Estonian TV channel with the Estonian Defence League (Kaitseliit) being led by a Russian officer. Never mind Taklaja's journalistic competence and qualifications: she is Russian, and that is all that matters. 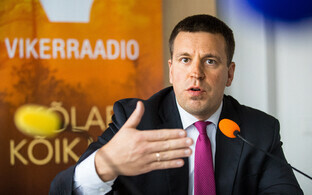 In a recent opinion piece, former Reform Party chairman, Estonian prime minister and EU commissioner Siim Kallas tried to turn back the clock on the Centre Party, writing that its chairman, Prime Minister Jüri Ratas, has been doing his utmost to follow in the footsteps of his predecessor, Edgar Savisaar. 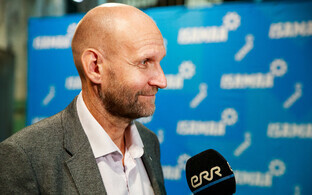 "Let's not beat about the bush though, Ratas is of course a lot weaker and less substantial," Kallas wrote. "He's not taking on responsibility for anything. As soon as things get hot, he is gone." 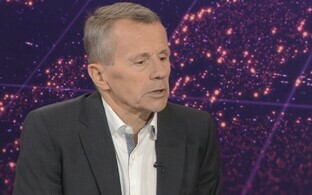 He went on to say that "though Estonia is full of new glass houses and foreign cars" he has had the eerie feeling that the country is reverting to Soviet conditions. Things that seemed to be decided for good are again open, Kallas added, though not expounding on details. Elsewhere, criticism of the Centre Party has also focused on Ratas. In terms of its delivery, Reform's opinion leaders don't shy away from the ad hominem approach either, recently scolding the prime minister for handing out chocolate to passengers on a train. All that was left to Ratas when Reform Party MPs confronted him with this example in parliament was to shrug and point to a van parked just outside Toompea Castle — a van with Reform's campaign streamline and the face of former Prime Minister Taavi Rõivas all over it. While Michal made a present to Centre Party district mayor Raimond Kaljulaid earlier this week: a paper shredder, designated to be used to destroy Centre's association agreement with United Russia. Reform chairwoman Kaja Kallas recently attracted attention mainly for her back-pedalling on statements made on health care issues. 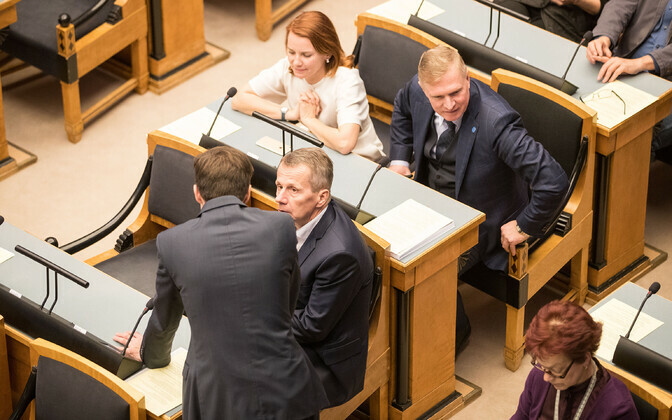 The party has been unsuccessful in the Riigikogu, and so far hasn't gained attention for much of its campaign platform either. Even among Reform voters, Kaja Kallas' popularity as Estonia's next prime minister has recently declined — in favour of the incumbent competitor. Much seems to suggest that for Reform, the time has come to go back to basics. They are out of ideas, so they will turn to the approach that saw them win parliamentary elections in the past: they will play the "Russia card." But whether or not that golden oldie still has the potential to deliver, remains to be seen.